I have raced at the World Tour level for multiple years and want to share what I've learnt as a professional athlete with others who aspire to live their dream as well. Being a professional is more than just riding your bike, it's a lifestyle. It's daily small habits that paint and build the big picture. I have the experience and tools to help you put it all together. Johann van Zyl started cycling at the young age of 8 years old. He instantly fell in love with the sport and from the beginning had his sight on being a professional cyclist. On his way to his first professional contract in 2013 with Team MTN-Qhubeka, he went on to win multiple National Titles on the Road and Track. 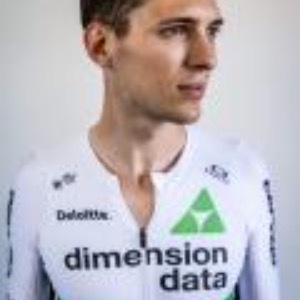 He participated in the World Cycling Championships on 4 separate occasions and claimed his first professional victory already in his first year as a professional, at Tour of Rwanda. He has a solid reputation as a valuable domestique in the peloton with multiple personal results to back his ability. Success. Coach Johann van Zyl has been notified of your message.